Should You Buy a Home Based Franchise Business? Many entrepreneurs face the question of whether to start a new business on their own or invest in an existing home based franchise concept. Starting a business from scratch carries with it a lot of headaches. What could be easier than stepping into a ready-made business? If you are in the process of doing your due diligence for new business opportunities, we can help you sort out the pros and cons of home based franchise business. Knowing the right questions to ask, before you settle on a home based franchise will help you be confident that you have made the choice that right for you. Financing may be simpler. Some banks will more readily loan money for a franchise over a startup enterprise. Freedom from leasing office space. Since your home is your office, you may be able to deduct a portion of your expenses from your taxes. You’ll enjoy a turnkey business. No need to figure out how to do stuff on your own. Operations and management procedures are all laid out for you. Brand image is pre-established. People will instantly trust your product or service. Get expert help when you need it. Experienced franchisors provide ongoing guidance. Be your own boss. It’s easier to be in charge of your life when you are in charge of your business. Save on operations and equipment costs. In most case, a franchisor will have established marketing and lead generation activities and proprietary software applications and systems you can take advantage of. But obviously, with any business venture, there are some drawbacks that could affect your success. Franchise fees. Many franchisors require ongoing franchise fees. Be sure you can afford these fees during the critical start-up months. Disciplined approach to doing business. While you are still your own boss in a home based franchise, there may be defined procedures to follow. Are you willing to work within the system the franchisor has established? Forms and documents. As a home based franchise owner, you will need to create reports, fill out forms and track your sales activities. Do you have the attention to detail required to complete these tasks early on if you don’t immediately hire support staff? Limited territory. While having a territory can be an advantage, it can also limit you. Be sure you understand the territory restrictions associated with your franchise. As you can see there are many more positives than negatives to owning a home based franchise. And if you choose the right one – like a Murphy Franchise business, a known leader in the booming business brokerage industry – you will have greater certainty of future success. When you decide that a home based franchise is the right answer to your ambitions, ask these questions of the franchisor. If the franchisor can answer “yes” to most of these question, it’s a safe bet you are on the right track to a great home based franchise. Question: Does the franchise company have a solid, positive reputation? Answer: Yes! Murphy Business is nationally regarded for providing professional, confidential, and ethical services to our clients. Question: Will I have access to the guidance of an experienced management team? Answer: Yes! Our corporate team is dedicated to helping you build a successful and thriving business. Question: Is there a large, growing market for the products or services offered by the franchise? Answer: Yes! There are more than 27 million businesses in the U.S. alone and more than 50% of those business owners expect to sell within the next 10 years. Question: Is the startup cost reasonable? Answer: Yes! Initial investments range from $62,250 to $123,735 depending on the type of franchise you open. Question: Will current franchisees share their experiences with me? Answer: Yes! Our franchisees are a supportive group of entrepreneurs who are happy to share their successes with you. Question: Do franchisees have a proven track record of earning high profits? Answer: Yes! Please refer to our item 19 for additional information. Question: Does the franchisor offer comprehensive training? Answer: Yes! We offer an online training course that takes approximately 80 hours followed by 4-5 days of intensive, on-site classroom training. Question: Are marketing, lead generation and technology resources available? Answer: Yes! We offer a comprehensive suite of lead generation, technology, and systems to our franchisees. Murphy Business is often listed as one of the top three business brokers nationwide. As a Murphy business broker, you will facilitate the sale or purchase of businesses that do as little as $50K in net income to as much as $30 million. You will represent all business across a variety of industries, independent businesses, and franchises that need a reliable business broker who can be trusted to get the job done. Your home based franchise business is waiting for you now. Call or text us now at 727-725-7090 to discover why a Murphy Business franchise is right for you. Ask us anything! We want you to succeed. 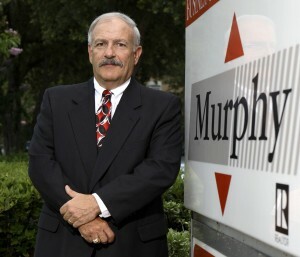 Roger Murphy founded Murphy Business in 1994. After a successful career in publishing, direct mail, and consulting, Roger relocated and started Murphy Business to offer assistance with listing, marketing, and selling local businesses. He opened 30 branch offices in Florida between 1994 and 2006 and began franchising the concept in 2006. His business philosophy was simple: Conduct business ethically and deliver great customer service to your clients.